Graphic novel versions of the classics almost always stir up some controversy, particularly when it’s Shakespeare who is being adapted. The charge of “dumbing down” is usually levied by elitist academics who believe Shakespeare wrote exclusively for them. He didn’t! He wrote for the great unwashed. Plays, by their very nature, are meant to be seen and heard—not read. They live on the stage or the screen. They are performed by actors, and the words are spoken. Comic book versions of plays allow their readers to “see” the action of a play and “hear” the comic-book characters “speaking” the words. Comic books may be about pictures and speech bubbles, but action and sound are very much part of what’s meant to be portrayed. However, unlike a play or a movie, the comic book also allows the reader to go back and re-examine—re-appraise—words, sentences, and sequences, particularly in Shakespeare, that are difficult to grasp and which might be missed in a stage/screen performance. Consequently, the graphic novel format presents the reader with the best of both worlds: the dynamic, dramatic action of the performance, along with an opportunity to appreciate the language at a pace that’s sympathetic to individual ability. Can of Worms Press has published graphic novel versions of three of Shakespeare’s plays: Othello, Twelfth Night, and The Tempest, with Macbeth and King Lear coming soon. Oscar Zarate’s artwork in Othello “thinks” graphic novel. While the medium is visual, it is also static, i.e. the characters in each frame don’t move; movement is only conveyed through a series of frames. So every time a character does something, a new frame is required to show the action. This is an art in itself, at which Zarate is very adept. The pictures evoke a surreal, almost Cubist style, which is wholly in keeping with the darkness of this tragedy of jealousy, revenge, murder, and suicide. There are even helpful mug shots of the main characters and a brief synopsis of the story at the beginning. John H. Howard’s artwork in Twelfth Night brings Shakespeare’s comedy forward to a more modern era, with motorcycles, trams, automobiles, and a collage of twentieth century dress styles. The story is a convoluted farce, in which mistaken identity, comic duels, and outrageous characters stumble toward a hilarious finale in which all is eventually resolved and everybody gets what they want—if not what they deserve. Howard’s somewhat grotesque images enhance the play’s inherent absurdity, and his purplish-brown hues evoke burlesque conceptions of the imaginary Illyria. The layout of the panels in both Othello and Twelfth Night is rather uniform, which is perhaps indicative of when they were first published, in 1985, with reprints in 2005 and again in 2010. 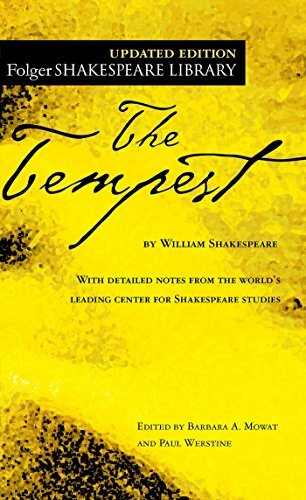 The Tempest, on the other hand, is more twenty-first century in style, with Oscar Grillo’s caricatures capturing the elusive magic of Shakespeare’s “valediction” play, and weaving both satire and whimsy into the story. Prospero looks a little old to have a such a youthful daughter as Miranda, but the creature Caliban is beautifully Neanderthal, and Ariel looks like a chic genie from Aladdin’s lamp. If there is a criticism with the graphic novel medium for Shakespeare’s plays, it’s in the language itself. Inevitably, much of the lyricism is lost. The rhythm of the lines becomes interrupted and disjointed. The iambic pentameter can’t be accommodated within the confines of the panels. The quatrains and trochaic tetrameter and rhyming couplets and all the lovely little idiosyncrasies of Shakespeare’s words become entangled in the illustration. But this has to be balanced against the benefits and, rather than “dumbing down,” such publications should be considered as “clueing up” readers who are less familiar with the Bard than the academics. John F. McDonald is a multiple award-winning novelist, screenwriter, playwright, and graphic-novel adapter. His screenplay, Tribe, is currently in production and the movie will compete at Cannes 2011. He has also ghosted and co-written several high-profile memoirs for politicians, celebrities, and businesspeople.